This fun Fall Pumpkin Party shop has been compensated by Collective Bias, Inc. and its advertiser. All opinions are mine alone. What is not to love about this time of year? 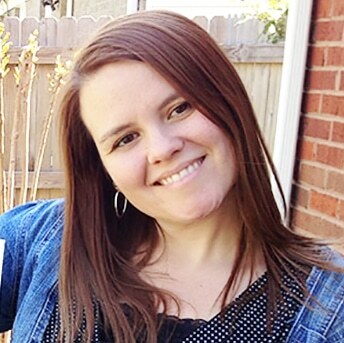 I’ve been so excited the last week since the weather turned a bit cooler and it really put me in the mood for Fall decorating and baking. 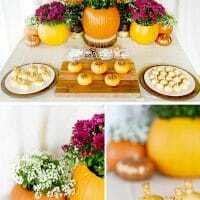 My favorite Fall celebrations involve carving, cooking and baking with pumpkins so I threw this Fall Pumpkin Party to celebrate the Fall season. It turned out so fun and festive. 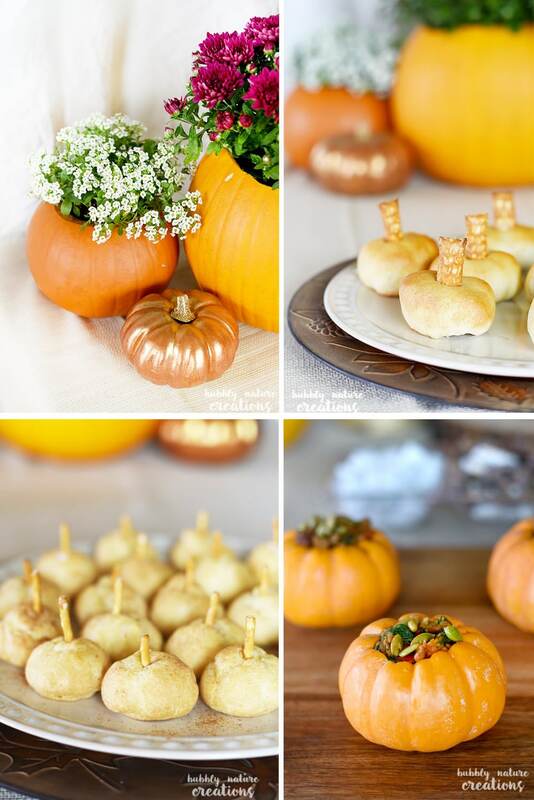 The table decor and pumpkin themed foods would be perfect for any fall occasion or at Thanksgiving. For the food I thought I would come up with some ways to use the pumpkin theme for comfort foods. I used MorningStar Farms Chik’n Nuggets from Target the Chicken Biscuit Pumpkins recipe. For the stuffed mini pumpkins recipe I just scraped out the insides of some mini pumpkins and used them as bowls. It turned out both tasty and beautiful. Last but not least we had these cute Pumpkin Spice Cream Puffs recipe! I just used pre-made cream puffs and sprinkled some pumpkin spice on the tops of them. Then we put the small pretzel sticks in the tops for the look of pumpkins. They were super cute and so tasty! The whole party set up was easy to set up and perfect for the season. Place all ingredients except pumpkin seeds into a large skillet and heat on medium heat until everything is cooked throughly. Stir regularly. Let simmer covered for another 5 minutes and stuff the mini pumpkins with the mixture. Sprinkle the pumpkin seeds on top. 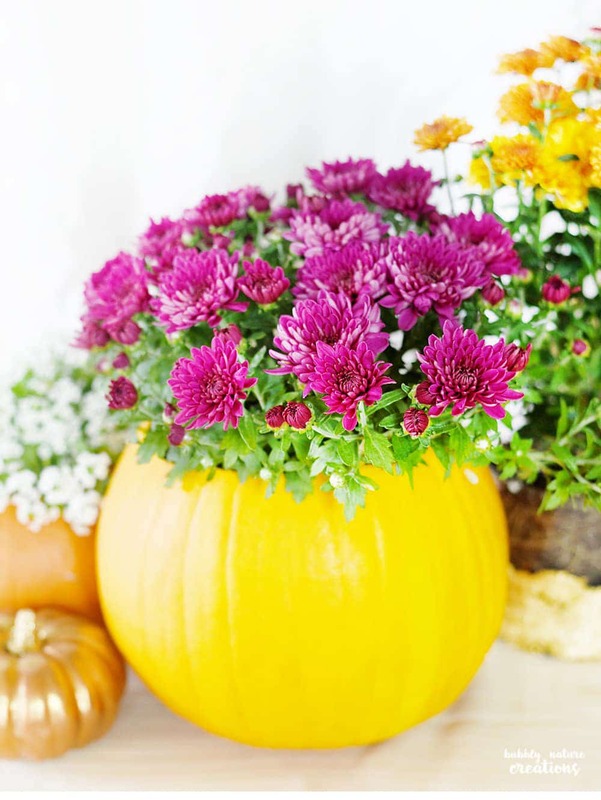 These “mumkins” are so beautiful and easy to make. My kids also got in on the fun by helping me pick out pumpkins and taking out the “guts” once we brought them home. 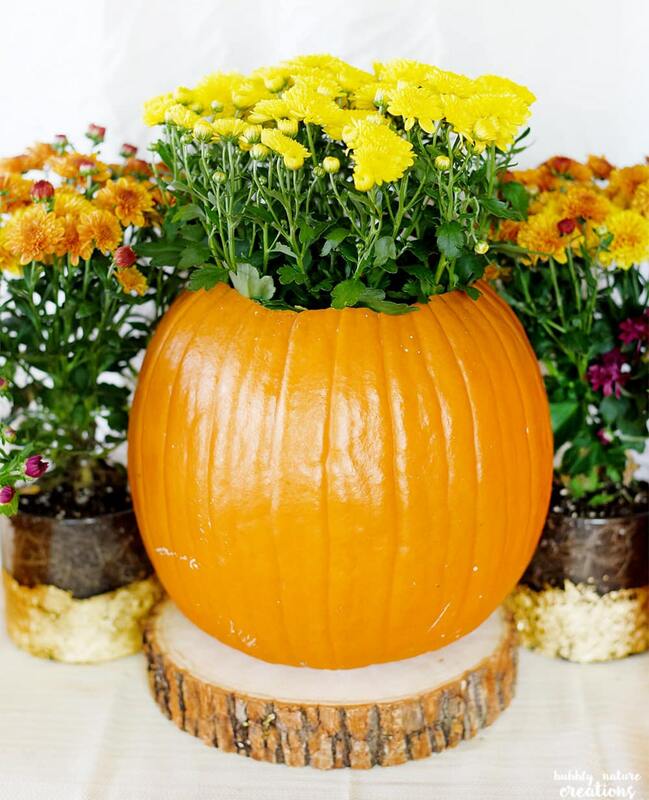 Once you have them gutted you can either stick the whole planter pot inside the pumpkins or just take them out of the pots and put the dirt and roots directly inside. Once the pumpkins start rotting just take the mums out and plant them in the dirt. You can also send your guests home with a mumkin or two if you want! 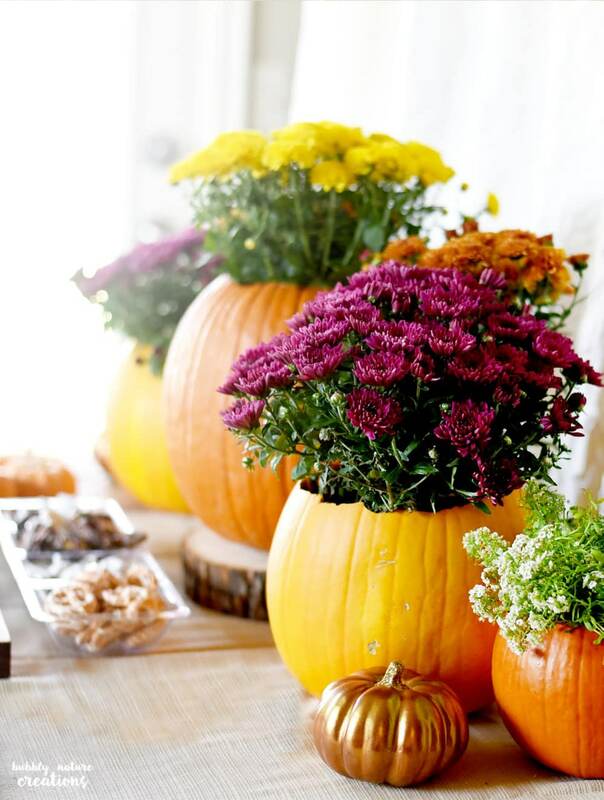 How do you like to celebrate the Fall and Thanksgiving?